Marlboro Gold, is a the most famous cigarettes around the world. We had this special products, made in Indonesia. 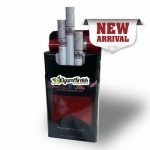 Manufactured by Phillip Morris group at Karawang, Indonesia. After scientists published a major study linking smoking to lung cancer in the 1950s, Philip Morris repositioned Marlboro as a men’s cigarette in order to fit a market niche of men who were concerned about lung cancer. At the time, filtered cigarettes were considered safer than unfiltered cigarettes, but had been until that time only marketed to women. Men at the time indicated that while they would consider switching to a filtered cigarette, they were concerned about being seen smoking a cigarette marketed to women. The red and white package was designed by the Designer Frank Gianninoto. The repositioning of Marlboro Gold as a men’s cigarette was handled by Chicago advertiser Leo Burnett. The proposed campaign was to present a lineup of manly figures: sea captains, weightlifters, war correspondents, construction workers, etc. The cowboy was to have been the first in this series. While Philip Morris was concerned about the campaign, they eventually gave the green light. Within a year, Marlboro‘s market share rose from less than one percent to the fourth best-selling brand. 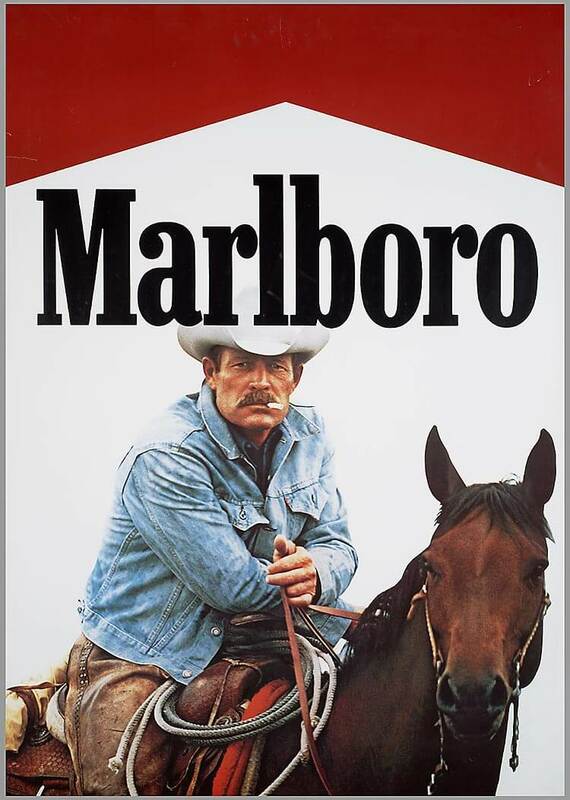 This convinced Philip Morris to drop the lineup of manly figures and stick with the cowboy, later known as the Marlboro man. From 1963 the television advertisements used Elmer Bernstein’s theme from The Magnificent Seven. In order to comply with a 2006 court ruling in United States v. Philip Morris USA, Inc., et al., Philip Morris (and all other cigarette companies) is now prevented from using words such as “Lights”, “Ultra-Lights”, “Medium”, “Mild”, or any similar designation that yields a false impression that they are safer than regular full flavor cigarettes. 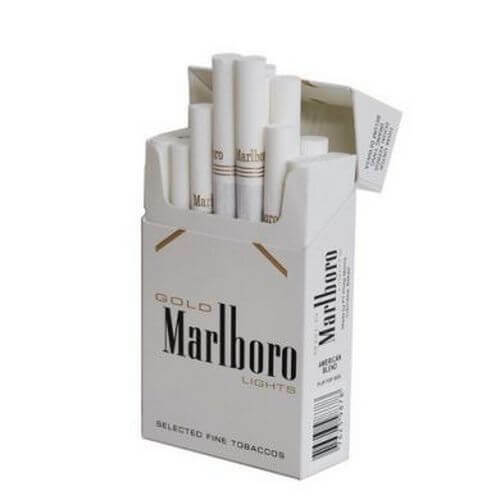 Thus Marlboro and other cigarette companies must use only color-coding instead; for example Marlboro Lights are now called Marlboro Gold Pack.